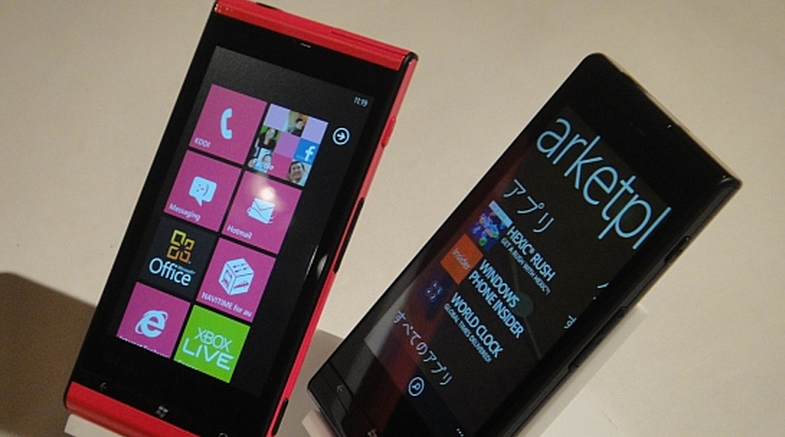 A set of advertisements for the first Japanese Windows Phone handset, the Fujistu IS12T, are raising eyebrows around the WP7 community. Not that ads are bad, per se, as many advertisements for Microsoft products have been, they are more crazy than anything else. Of course, I am speaking through the lens of my culture, which renders my views tinted, but still, these ads are a bit much. How effective they will be I have no idea, but they would certainly not have the desired effect on me. On the YouTube pages for the ads, which have been out for about a week, both have a ‘dislike’ rating of around 20%, a bit high for something as noncontroversial, usually, as an advertisement about a phone. We Google Translated a number of the comments, to little avail it must be said, but the words that did pop through were not particularly encouraging. Why are we bringing you this? Because this little Fujitsu handset could be quite a boon for Microsoft. The company invested in keyboard you saw in the videos, and it could very well use a hit handset in any country, let alone one as advanced and wealthy as Japan. But with these ads, will that be case? Sound off in the comments.